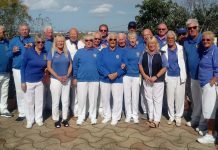 San Luis Bowls Club Report 09.02.18. by Sheila Cammack. 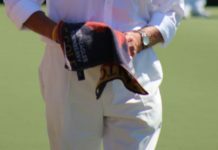 Monday 5th February: Klingons away v VB Drivers; 8-6, shots 107-95. 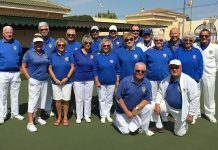 Winners: Kath Reid, Neil Morrison, Ian Kenyon 22-10, Margaret Morrison, Sabrina & Russell Marks 22-20, Pam Lockett, June & Keith Jones 26-15. Trekkers home v Q Diamonds; 12-2, shots 122-90. 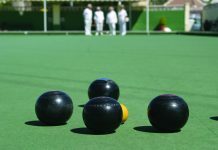 Winners: Helen Hammond, Barry Roseveare, Scott Malden 31-11, Beryl Regan, Allen Bowen, Suzi Cooper 15-14, Shirley Verity, Jo & Jules Pering 23-5, Irene Everett, Barry Edwards, Vic Slater 19-13, Ros Holmes, Peter Fuller, Derrick Cooper 23-16. Romulans away v CB Flamingos; 5-9, 90 shots-131. Pat Barnes, Ralph Jones, Harry Epsom 22-17, Lyndon Johnson, Geoff Francis, Danny McErlean 16-16, William Holtham, Bob Bruce, Malcolm Ayton 21-8. Vulcans home v Q Rubies; 6-8, 98shots-115. Winners: Ray Watmough, Derek Barker, Dave Steadman 20-16, James Wright, Margaret Clarke, Geoff Shand 22-14, Denis Jackson, Kevin Hull, Drew Russell 25-15. 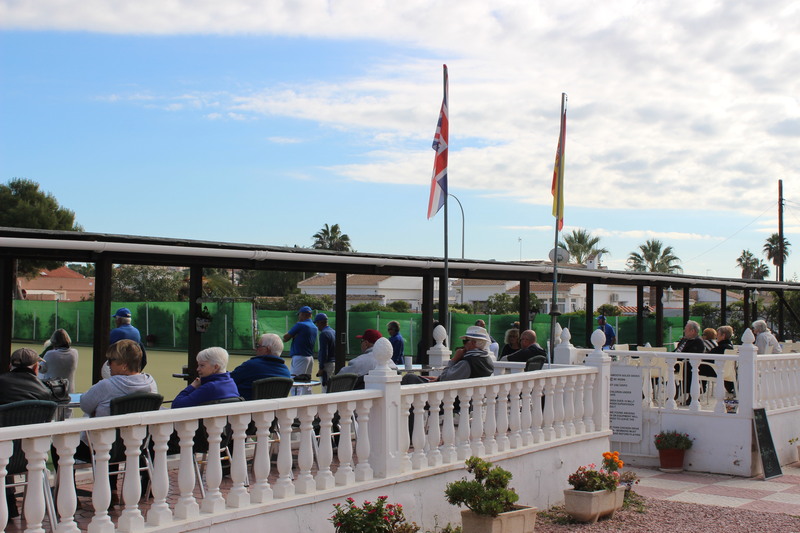 Wednesday 7th Winter League away v San Miguel; 8-4, shots 79-70. 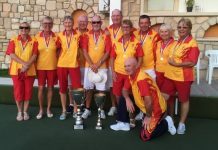 Winners: Lynne Morris, June Jones, Peter McEneany, Keith Jones 14-11, Shirley Verity, Ray Clarke, Jules Pering, Russell Marks 20-10, Irene Everett, Jo Pering, Brian Pocock, Tom Hill 17-11. FED 4’s: Thursday 8th , Ospreys home v SM Mohawks; 8-0, shots 50-36.5. 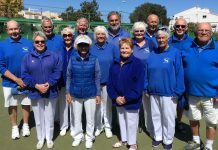 Winners: Shirley Verity, Jo Pering, Giuseppe Galelli, Roy Cordell 18-17, William Holtham, Sheila Cammack, Neil Morrison, Ian Kenyon 17-7.5, Allen Bowen, Pam Lockett, Suzi Cooper, Scott Malden 15-12. Condors home v MM Lords, 6-2, 54 shots-42. 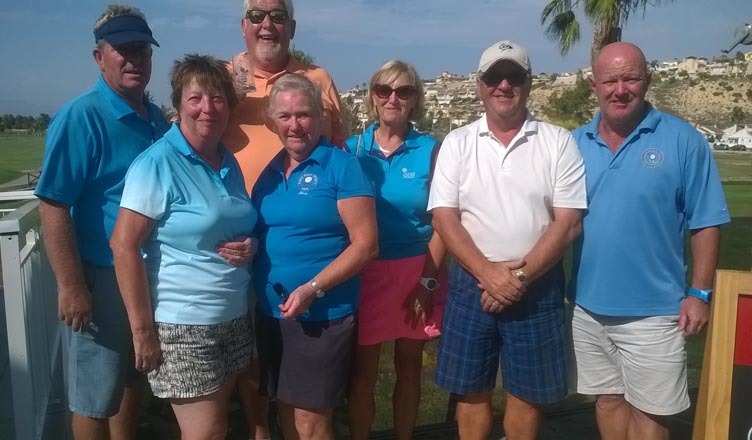 Winners: Bill Webb, Margaret & Ray Clarke, Brian Pocock 23-13, Sally Cordell, Mags Haines, Mike Regan, Vic Slater 18-13. Friday 9th Lions home v VB Picadors 14-0, 136 points-72. 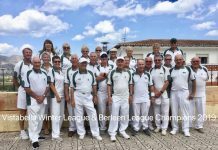 Winners: Bob White, Sheila Cammack, Giuseppe Galelli 22-15, Colin Jackson, Keith Phillips, Mal Hughes 21-12, Steve Simmons, Ray Pollock, Roy Cordell 24-11, Janet McEneany, Ann Holland, Peter McEneany 17-15, Pam Lockett, Ray Clarke, Tom Hill 24-12, Kath Reid, Neil Morrison, Ian Kenyon 28-7. Tigers away v GL Oaks, 4-10, 93-105. Winners: Irene Everett. Mike Smith, Vic Slater 19-14, Jan Pocock, Les Bedford, Brian Pocock 21-18. Leopards home v Q Swans, 10-4. 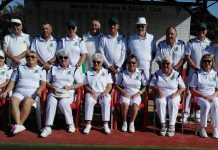 114-106 Audrey Ford, Margaret Clarke, Charlie Marigold 21-8, Ray Watmough, Marie Henley, Dave Steadman 16-11, James Wright, Derek Barker, Bob Bromley 21-15, Chris Jackson, Sue Ross, Drew Russell 24-22. 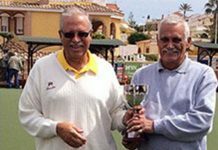 Sad news this week; the death of a San Luis member: Albert Jackson & also Bill Young, a member of Monte Mar BC – we will miss them. Our condolences to family and friends. 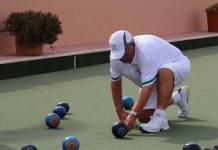 Club information: www.sanluisbowls.byethost7.com or contact June Jones, Captain: 691 903 773. 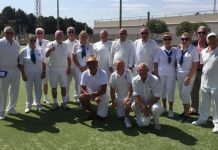 Javea Green Bowls Club Winter League say 10-2 that’ll do!